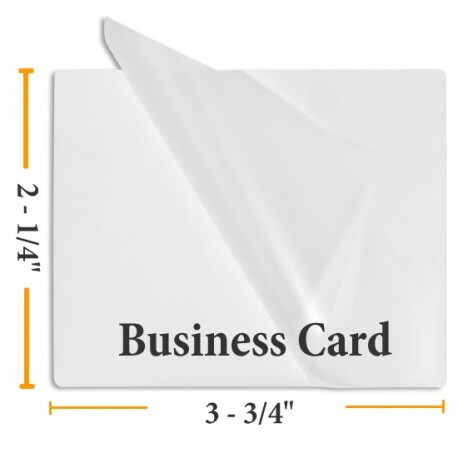 Laminating Pouch Measures: 2 1/4" by 3 3/4"
These business card size laminating pouches offer matte laminating film on both sides. 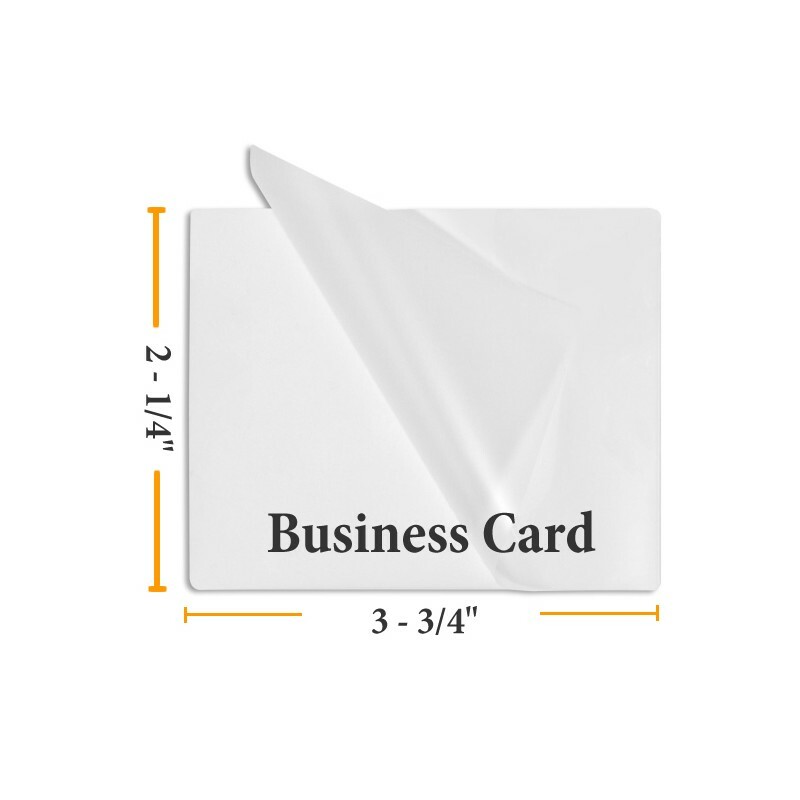 Also available in Matte/Clear with matte finish only on one side. The matte or frosted finish provides a durable, protective covering with a softer feel than the glossy pouches. The matte finish allows you to write on these pouches with pen or pencil.